The Met Office has issued a level 3 cold weather alert until 0800 on Thursday 01 March for parts of England. There is a 99% chance of widespread frosts and significant wind chill across the district between 0900 on Friday 23 February and 0800 on Thursday 1 March. There is also a chance of snow showers from Monday 26 February. This weather could increase health risks to vulnerable patients and disrupt the delivery of services. This is a Level 3 warning which means severe weather action. On these pages we want to provide you with information so you are well prepared and can also help the young, elderly and those with pre-existing medical conditions who are more vulnerable to cold weather. We will post regular updates here as well as our Facebook and Twitter (@ChichesterDC) pages. On Twitter, you can also find advice by using #weatheraware and #staywellthiswinter. Look out for vulnerable relatives, neighbours and friends. Wear shoes with good grip if heading outside. Keep your home heated to at least 18C if you can. Ensure you have plenty of warm food and drinks to keep you warm. 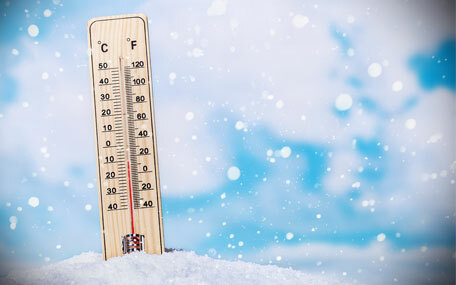 Make sure you wear warm clothing, wearing a few layers of thin clothing rather than one thick layer. If you are heading out wear shoes with soles that have good grip. Always carry your mobile phone with you and keep it charged in case of an emergency. Check local weather forecasts regularly either on television, radio, websites or social media. Prepare alternative childcare arrangements in case of unexpected school closures. Limit time outdoors if you're at a higher risk of cold-related illness or falls. If you drive make sure your car is roadworthy and carry a spade, blanket and emergency food and drink in case of breakdown. Make sure that you defrost the windscreen and windows thoroughly before you drive. Check screen wash levels, and that the windscreen wipers and tyres are in good condition. If you do break down, ring your breakdown service and not the emergency services, unless you believe people are at risk. Leave more time for your journey, and drive slowly, leaving a good distance between your vehicle and the one in front. Check bedroom night time temperatures and maintain them at 18C or warmer. If you are able to, clear your drive and pathways to prevent accidents. Keep curtains drawn and tucked behind radiators, and doors closed to block out draughts and help trap heat. Set your thermostat to around 21C (70F) and heat all the rooms you use during the day. Heat your bedroom before going to bed. Rather than turning the temperature up higher, set the heating to come on earlier than normal. Make sure any electric blankets have been recently checked and are safe to use. if you use a fire or heater in the bedroom, open the window or door a little bit to allow for ventilation. During cold weather make sure your medicine cabinet is stocked up in case you're unable to leave home. When indoors, try not to sit still for more than an hour. Get up and stretch your legs to maintain circulation and heat. For further information visit the Met Office's Get Weather For Winter pages which contain advice from a variety of government agencies. If your waste or recycling collections are disrupted by snowy or icy conditions please leave your bin out and we'll get to it as soon as we can. We'll also post updates on our website, and our Facebook and Twitter pages. West Sussex County Council is responsible for gritting the primary routes throughout Sussex. Highways England - details of travel disruption on major roads.